As a lifelong kaiju fan (and writer)… this needs to be backed! Lets give the youngsters more opportunities to grow up loving the same stuff we did, yeah? For those of you who have been around for a while, you know that I have an undeniably slavish obsession with the heist genre. Whether it film, novels, video games or even stage plays, the heist or caper genre is always my favourite. I once even ran a blog on the very subject. Which is all to say that when you put Jason Statham in the role of Parker, a career criminal and stick-up man (from the Westlake/Stark novels), I’m interested. 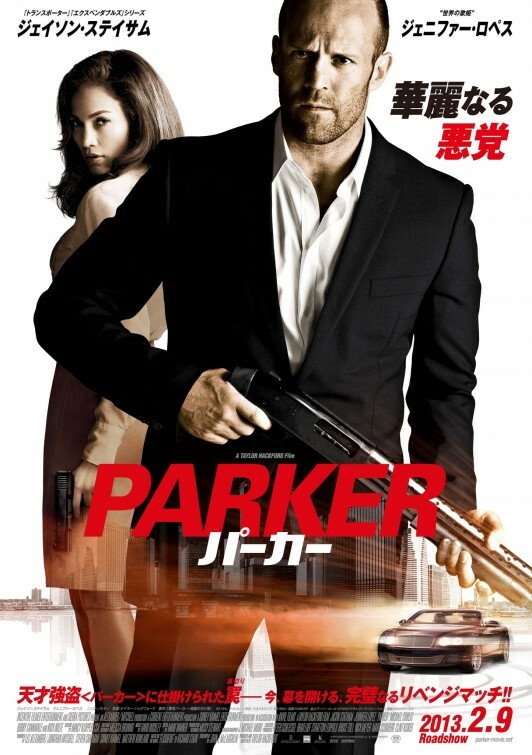 Parker has been played by Lee Marvin (as Walker) and Mel Gibson (as Porter) as well as others, and I find Statham a more interesting choice than most of them (although Anna Karina and Jim Brown were fun). This review will be spoilery. it’s time to get cracking here again, now that my week long foray at PAX has finally worn down. I have some things to report from PAX, as well as just general musings. Also, thank goodness for posts time stamped for the future. Kurosawa’s dominance is halved, as to be expected. A flick that I absolutely adore gets dropped like an orphan on a church doorstep (is that metaphor a little cruel as well as dated?). And the big giant nuclear bomb allegory named ゴジラ fights for its life! It’s interesting that as a Top 10 is actually almost about finished in my mind, it is increasingly difficult to decide some of these middle rankings. I definitely cut some films I hold in very high regard, oh, and Godzilla fought Robocop. Did the big kaiju win? I generally hate articles and books geared toward the “how to” writing crowd. I firmly believe that writing isn’t that perfect of a science, and that being successful at it is more capturing lightning in a bottle than some scientific formula. Chances are, even if you were able to combine all the literary advice—contradictions and all—into a single novel, it would probably be as likely (or unlikely) to succeed as any. The truth of the matter is that fiction catches on for different reason. Michael Crichton was succesful because he had great concepts. Even though his writing was drier than Boise, Idaho, he had overwhelming success because he could concept with the best of them. There are others who so beautifully use human languages, that it really doesn’t matter what they write. It will feel good getting there (or nowhere as the case may be). I was asked to build yet another world, as well as create a Bible/Reference for it. My reputation in this realm seems to be growing apace, much quicker than my reputation as a writer. This is a good thing. I enjoy world building, often moreso than actual story writing. I wonder, however, what is the market profitability of such an “abstract” role? It just seems almost fradulent. We all know Hedorah is the best. Twenty five films have been cut from my top seventy five Criterion films. Which ones didn’t make it? A more important question is, did all those French New Wave films leave room for Robocop? The answer after the jump. I’ve just realised that the titles of all the short fiction I’m currently working on (either serial or otherwise) are: Juniper Rabid, Seppuku Salesman, Leviathan Bride and The New Terrible. There’s hardly a happy sounding story in there. I need more bubblegum in my life, apparently. Where’s Jac when you need rainbow vomit-inducing jpop? Calling H.H. Neville a real writer–like his genre of choice–would be fiction. At the rare points that he does manage to write, he fashions his work with visceral visuals, razorblade sharp style and shotgun brutality. He draws equal inspiration from Victoriana literature, fables, Japanese pop violence, grindhouse genres, neon-flavored pop culture, french new wave, and fashion trends. He is, if anything a proponent of style over substance. Who needs plot if it’s pretty? Copyright © 2019 Neville, Nevilleland - .